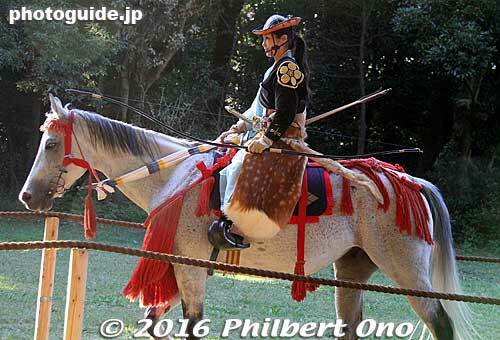 On her legs is a summer pelt of deer fur (muka-baki 行縢). It supposed to cushion any fall from the horse. Fortunately, no one fell off the horse this day.